I like this advert so much that it hangs framed in my bathroom. Firstly, we’ve got a brick wall in the background. What says solid, firm and true better than a brick wall? My teeth feel stronger already and I haven’t even brushed yet. If I’m not careful I may take a bite out of my laptop in a fit of overzealous machismo. If you read the text, it’s very martial in tone. You’re WANTED! 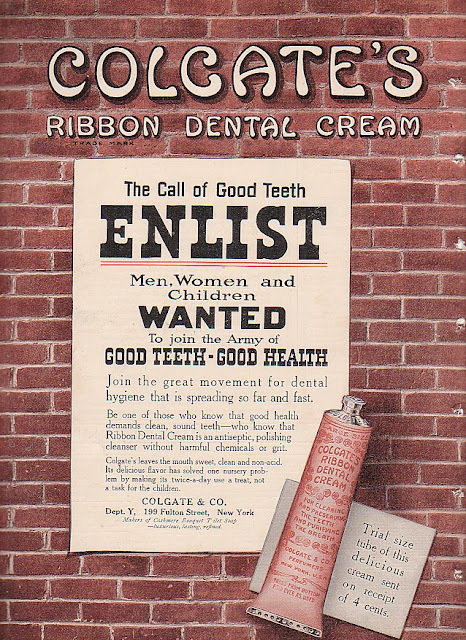 Wanted to ENLIST in the Call of Good Teeth! And to think that all this manly bravado comes in a little pink tube at the cost of only four cents. Damn! Now that was some value! Now if you’ll excuse me I’m going to go brush my teeth and try like the dickens to whistle the Marine Corp Hymn at the same time. IT’S GO TIME PEOPLE! GET IN THERE AND APPLY THAT DECAY PREVENTIVE DENTIFRICE! Before they were officially dubbed boomboxes, they were “Portable Component Systems” and this one has an optional record player though it escapes me how you’d carry that down the street with you. 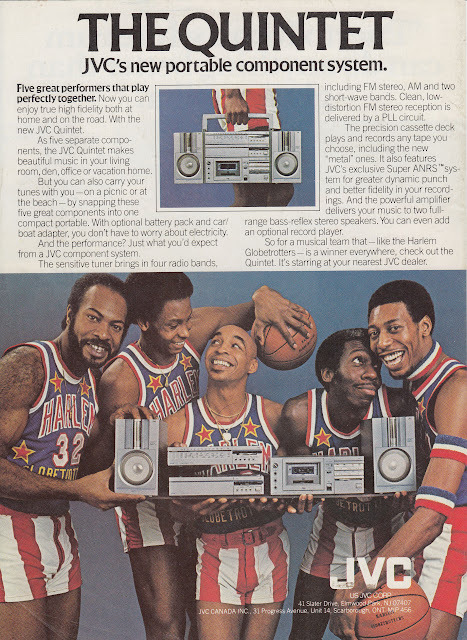 Not long after, the boombox would become king and the record player would die a slow death filled with needle-drop hiss. But don’t feel bad because albums are back with a force. 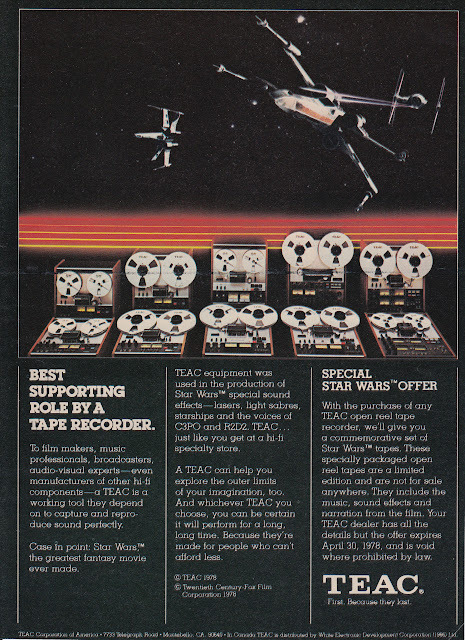 Can eight-tracks and wax cylinders be far behind? 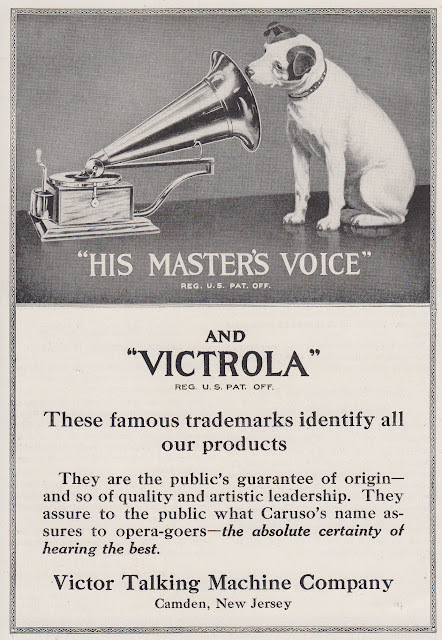 For decades and decades that poor dog stuck his little snout into the bell of that Victrola. I’m willing to say that he’s probably stone deaf after all that noise at such close range. Perusing these ads, Caruso is mentioned again and again. I wonder how many people in 2012 know who he was? Such is the fleeting light of fame. 90 years to anonymity. I’ve flipped through enough old publications that I have learned to look forward with great anticipation to the centerfold. These big, flashy ads are almost always stunning. 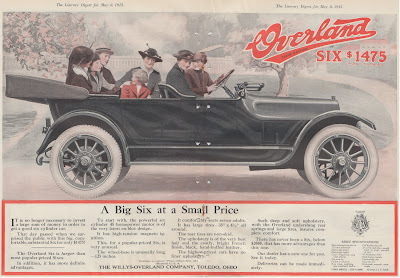 At $1475 ($31,300 if you adjust for inflation), the Overland was a pretty pricy item for its day. But that bought you a 45 horsepower motor. That’s about a third of the average passenger car today. Interesting too to note the mode of dress of the people involved. The women dressed dark and plain with the only color coming from the small girl in the middle. The car seats seven, though I can’t speak for how comfortable anyone would have been. One thing that I absolutely adore about WordPress is that I can throw out a rather half-hearted entry like the one above and somebody will come along within 10 minutes and ask a great question that forces me to actually THINK about what I just posted. Doug Payne asked: “Have an opinion on the significance of the color in the ad?” It seemed a good enough question that I thought it worth putting my random speculation into the body of the post. If I had to guess…. I’ve looked at a LOT Of auto ads from this time period and the reason I hadn’t bothered to scan more is that they’re all really REALLY similar. There just isn’t the variety of designs that we enjoy today and the only thing to differentiate between them is the stats and the price point. So the color, I would speculate, draws attention to the only two things that would really matter to the affluent reader of this magazine. (The Literary Digest is aimed at a much more affluent crowd) It’s cheaper and bigger than the competition. The other colors are kept muted so help draw attention to the aforementioned items. Our central focal point is the girl in the middle in red and she’s clearly portrayed as having a grand time. But that’s just my speculation on the topic. I’d love to hear others! 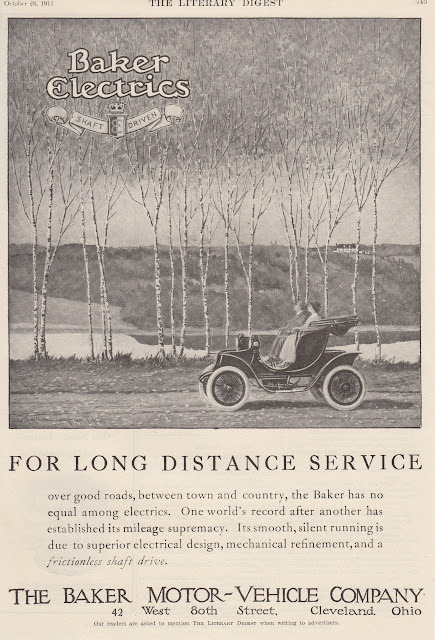 In today’s world we’re impressed with automobile innovations like the Chevy Volt and hybrids but it’s easy to forget that we actually already DID the whole electric vehicle thing as evidenced by this ad from 1911 that sings the praises of the Shaft-Driven Baker Electric Motor-Vehicle. The “long distance” referred to in the ad was, in fact, 50 miles. The Baker Electric price topped out at $2,800, which is $36,000 when you adjust for inflation. The company merged with Rauch and Lang in 1914 and the last Baker vehicles left the assembly lines in 1916. I suspect that many of you may have been saying to yourselves over the past few ads, “But what does one DO with such a thing you happen to have a paper copy?” I, for one, have found them to be wonderful gifts to give at random to whoever you happen to have in your vicinity. From all the aching and swollen belly of history there is so much to choose from that you can tune your gift to a razor point and not only entertain but represent well the person receiving it. So in this spirit, I give you my personal favorite gift given. The background collage for this piece is a collection of all the most grim things I could find throughout history. Political cartoons from World War I, ads for Asbestos shingles, Colt 45 revolvers, Eugenics, the sinking of the French ship Bouvet and the headline on new chemical warfare techniques. We’re a pretty grim species sometimes. PS: As I look at this I realize that there are a LOT of people to whom I owe something of this kind. I did about 10 of these a few years ago and they were received with varying levels of… tolerance. It’s time to begin again, methinks. Anyone out there in radio land who would be interested in obtaining a custom-made work need merely drop me a line and we can work out the terms.